Seth Godin’s post give 7 questions anyone should follow if they are interested in reaching the people in their neighborhood. Some people want to reach people in their neighborhood with a product, a promotion, an event, or a service. 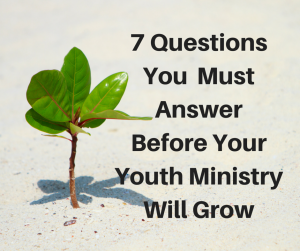 I and my youth ministry want to reach kids in our neighborhood with the gospel of Jesus Christ (my guess is yours does too) and in order to do that I have to be honest about these 7 questions. In our case, we look at attracting middle class kids in High School and have been successful. I don’t know if it’s as intentional as we’d like it to be but that is what the programming is attracting so we stick with it. In the spring we divided up and sought to draw middle school students with separate program and it got mixed results so we’ll be more intentional in the fall. Considering we have a bunch of students who are home schooled we are doing better than average. We use Instagram and FB quite a bit. Not a lot of Twitter users in our group. 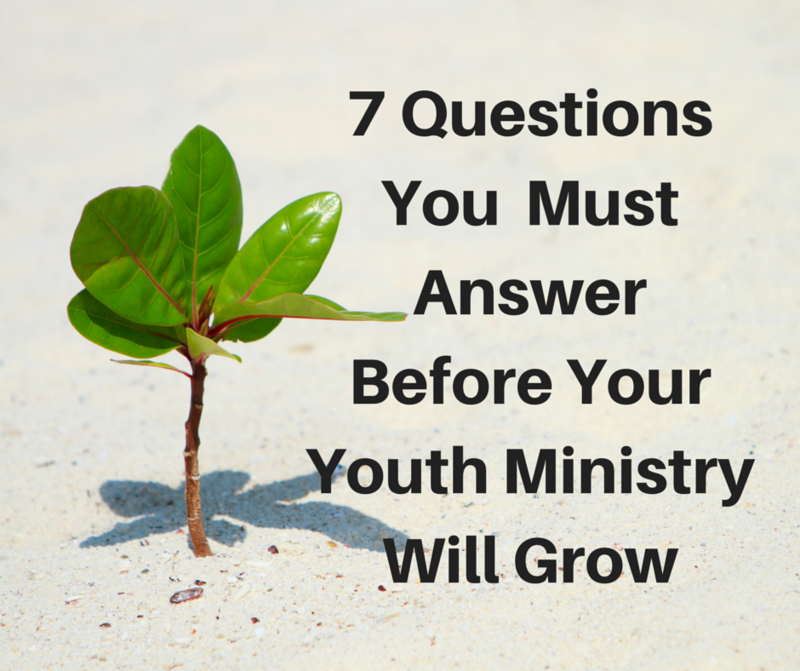 We have some students who are good at posting and sharing their youth ministry experiences and that’s a plus. I will be volunteering this year at our High School to simply be a presence not necessarily to promote but I’m sure conversations may lead to that. I take a lot of video of our YM and share it often. I engage with my students on Social Media and their friends see that. The main story: God loves you and is calling you to know Him through His Son Jesus Christ. In Christ there is peace, joy, love, hope, and purpose. The sub-plot: You have God Given gifts, abilities and talents, us them to give others a a peek at God’s kingdom here on earth. Yes. Most, if not all, people want to know why they are walking around on planet earth and no one more so than the American teenager. Most people in our town want to find hope when they’re desperate, love when they feel cold. and kindness when they feel mistreated. All of these are found in a community called The Church. WHERE is the fear that prevents action? My fear is the fear of standing alone with my dream. That if I take the lead into uncharted territory no one will follow, save God. WHEN do you expect people to take action? If the answer is ‘now’, what keeps people from saying, ‘later’? We don’t program a ton. We keep things pretty simple. We ask kids to come to what they are available for and not to everything all at once. I keep things relevant but biblical. I don’t try to be everyone’s friend so I can be their Pastor. I keep thing moving along. Boredom = Death. WHY? What will these people tell their friends? We believe kids don’t just listen to sermons we believe they can experience God in every service. Thankfully no one is going around bragging on my sermon but they are going around bragging on how they felt loved and how God touched their hearts. So around this time last year Jenny (name change) invited me to come to her church because she was leading worship that night, and I didn’t want to miss service at the church I was going to but I thought “it’s just one night, what the heck” so I went for that one night and haven’t missed a service since then! This year was one of the hardest years yet but this youth group has been there for me and supported me through it all and have become my family. At this church I have made many lifelong friendships and seen God move more than ever before and I am so blessed to be a part of such an amazing youth group! I love you all and I look forward to many more years with you guys! Nothing about how I made her feel but everything about how the group made her feel and what God has done and is doing in her life #Winning. I don’t pretend to have all the answers. I have to ask these questions, pray hard, get wisdom, make hard choices and execute on what I think the right move is. Comments like the one above is a combinations of hard work and God’s grace (with emphasis on the latter). The good news for you is that comments like these are waiting (if you haven’t gotten them already) to be posted about your youth ministry and the work God is doing in you and through you and your kids. Need help answering these questions? Feel free to leave your questions below or click here to check out my Real Time Coaching Package to go deeper. Which question is hardest for you to answer? Easiest? Which question is hardest to execute on?